It's been 6 weeks since The Games and I realized I haven't mentioned them once on my blog. How was it? How did/do I feel? What's next? There are so many answers to those questions....maybe that's why I haven't taken the time to tell you about it. One word: AMAZING. In short, I showed up to have FUN, be EXCITED, and HONORED to compete in that arena. I am not sure I showed up to compete but I am sure I am OK with that. So often in life I wait, prepare, anticipate, visualize an event and then "miss" the event because I spent my time worried, hurried, anxious, nervous, focused. I was determined to remember, cherish, experience every moment of the 2011 Reebok CrossFit Games! I was going there to be present - present to the accomplishment it was to complete - present to hear the crowd of 1,000s of people - present to appreciate the other athletes - present to the support from all of you. Mission Accomplished. A year ago at the 2010 South Central Regionals, I got my first muscle ups in competition, I still couldn't do HSPU but mostly I didn't BELIEVE. I didn't see myself as an athlete - much less a champion. I spent the last year setting goals, training with the best (Coach JDP, Carey Kepler, and Lindsey Smith), creating vision boards, covering my mirror with phrases of strength, doing things that I had only watched others do. I worked hard and I had fun. I got outside my comfort zone and when I felt fear, I replaced it with ACTION. I look back and remember days/moments that from the outside were trivial but for me were pivotal, transformational, and key in reaching my goals. Here are a couple vivid memories. How did a bag transform me? "How can you be a professional athlete if you're not prepared with your equipment? ", my husband asked! My bag of oly shoes, speed rope, tape, Trigger Point kit, sweat towel, etc became a ticket to The Games. Of course you do the WOD!!! Well, not always - sometimes you modify, right? Just last week, Lindsey and I were talking about one of those WODs. Early last fall, we met to workout, I saw muscle ups and immediately starting planning my "modification" aka EXCUSE in my head. Lindsey sat by and watched - warmed up - then told me to set up my rings. Nothing was said until after the WOD but we both knew that by performing rather than pretending (not to be able....) I leaped closer to The Games goal! The 2011 Reebok CrossFit Games were everything I had hoped. I've never been more present to an experience. The only way I can explain the feeling of being the first group to get to perform in front of the crowd after the Opening Ceremony. I got to swim in the Pacific Ocean by the Santa Monica Pier with 100 of the fittest people on Earth. CrossFit Central had over 40 people travel from TX to CA to watch The Games - what a support system! I can't believe how many of you spent hours sitting by your computer watching the feed. Special: Wow, Reebok treated us well. "The Killer Kage" was probably the coolest event all weekend. Who doesn't love monkey bars! Today, I am not only an Athlete but know that I am a Champion! (verbiage borrowed from Carey Kepler) Year 5 of CrossFitting and year 33 of life - I am just getting started. I feel great - I am going to continue to compete - I am going to The 2012 Reebok CrossFit Games. I love the sport of fitness: CrossFit, more than ever. My goal is to use competition and the sport as an avenue to fulfill my Mantra: "Yes, You Can" As long as my participation, dedication, competition can lead me to just one person whose life I can change, I will continue. 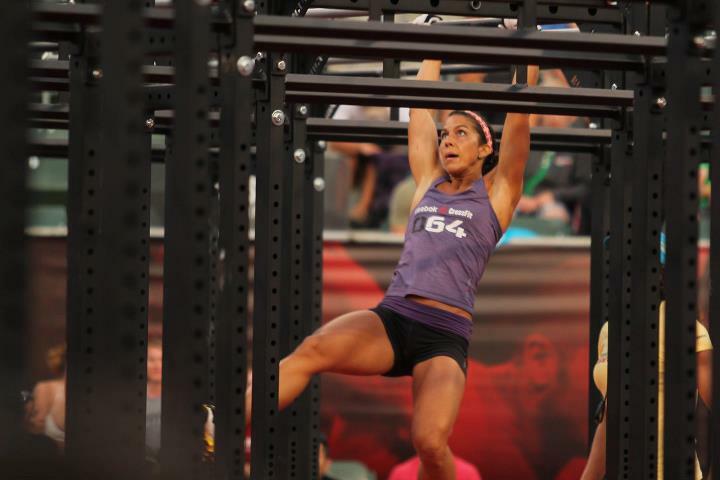 Oh, and a little bonus The 2011 CrossFit Games will be on ESPN 2! !